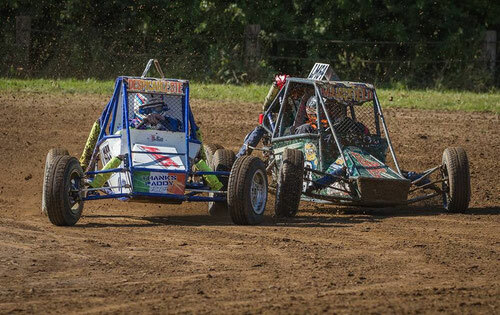 Founded in 2002 by a number of Leewood Autograss members, the F600 class is in essence an introductory specials class which runs to class 8 specifications with further restrictions imposed. This is an attempt to reduce cost and increase the quantity of specials racing at club level. It has been proven that a brand new F600 with all newcomponents can bebuilt for less than £3500. The F600 class and championship will be governed by the F600 Committee in the immediate future. The only implication of this is that for 2015 the F600's will not have a separate class represented at the Nationals. The objective of the committee is to raise the profile of the class by providing cheap, close, fast racing.